Yealink EXP39 Expansion Module is designed to provide extended flexibility to the Yealink T26PN, T28PN and T38GN SIP phones. With a 160x320 graphic LCD and 20 physical keys each with a dual-color LED which can be configured to 38 programmable keys. Each programmable key support functions such as speed dialing, BLF/BLA, intercom, call forward/transfer/hold/park/pickup/return. 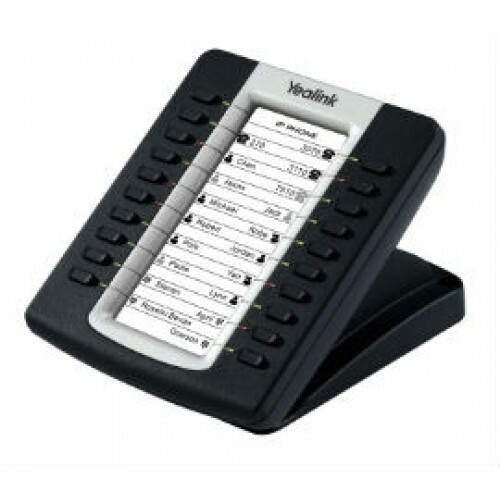 For larger installations up to 6 expansion modules can be linked making this the ideal for solution for receptionists, call center agents, power users and executives who need to monitor and manage a large volume of calls on a regular basis.